Just wondering if you have recently bought one of these network radios can you give me a small insight as to what radio you use and why you went for the radio ? Thinking of getting one but dont know what to choose ..cheers for any input. Here you go. 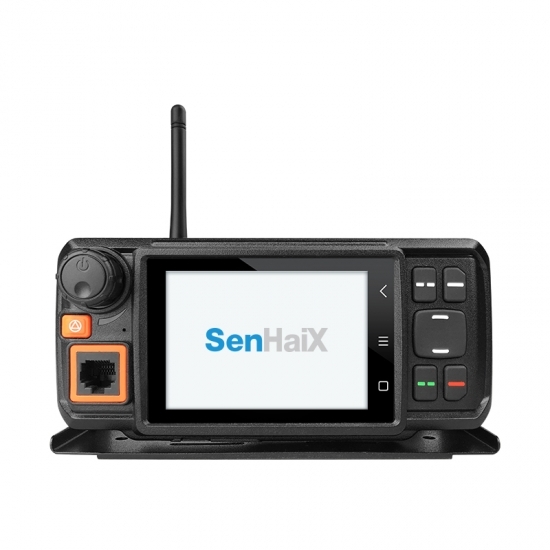 This is the Senhaix version. In truth I don't know if mine is this or the Anysecu as there isn't any writing on them! What about the SIM? Can't seem to find anything as good as that deal so really interested. It's now £19.99 and lasts 3 months. You don't even need to pay that much. Sort by lowest price and you can get 500mb data and 500 odd minutes on a 1 month rolling contract for as little as 3.99 a month. On another note.... If it has bluetooth could you use internet connection sharing on your phone? Like my satnav gets live traffic info? Last edited by Mitch on 15 Aug 2018, 08:44, edited 1 time in total. Is it me??? 3.99 x 12 works out at nearly £48... The OP+1 has a 12 month deal "around £16" with 500Mb for 12months (500Mb/12months). I think ID mobile are quite cheap in UK and often do deals. Keep your eyes open for deals though, I managed to grab a deal where I pay £5 and get 250mins, 5000 txts and 2.25gb of data per month. That's on a 30 day contract and any unused data rolls over into the next month. Thats pretty good going i thought. I'll stop there, as we're drifting off topic, but as the 'radio' in question is actually a mobile phone with a posh jacket on then it's understandable.